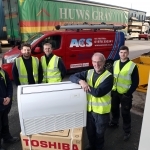 ACS specialise in Air Conditioning systems, Cellar Coolers and Cold Rooms. Working with supply of new installations, repair of existing units & regular planned maintenance of existing units. Heat pumps are integral to an air conditioning system, transferring heat from one environment to another via a refrigerant. Heat pumps also offer a cost-effective heating solution - and air source heat pumps are recognised as a renewable heat technology. We’re a trusted domestic and commercial air conditioning company, including new installs. Find out more about our domestic and commercial, including office, air conditioning service. Repairs to fully managed domesic and commercial air conditioning maintenance contracts. We called ACS, they came (when they said the would), we took their advice and do we regret it? Not one bit. The conservatory is now cool in the Summer and warm in the Winter. 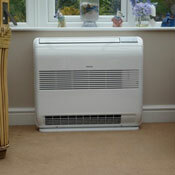 We cannot recommend ACS enough - reliable, fair and very professional. 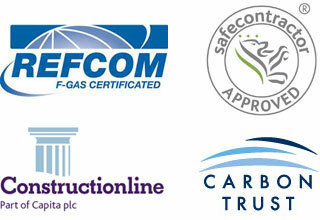 We are registered F Gas with Refcom this coves our work with Refrigerant gasses. Our engineers are Trained and accredited to work on F Gas units. We are happy to provide relevant Health and Safety documents / Rams and Proof of safe disposal of Refrigerant gas.